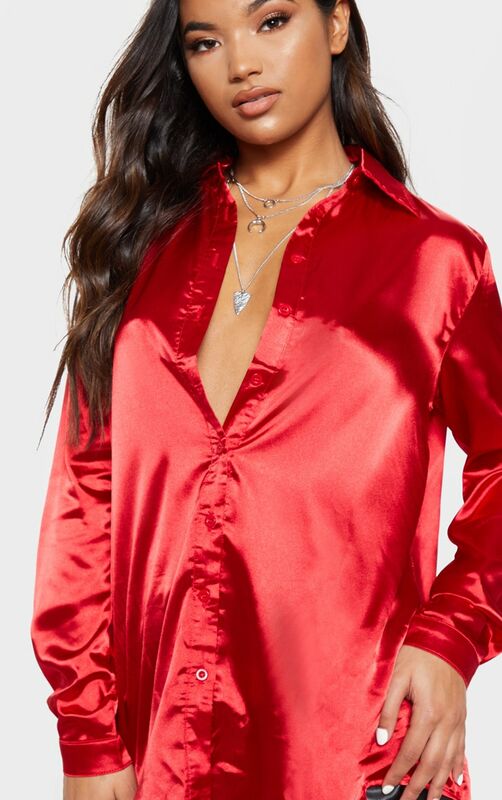 Get the high shine girl with this seriously chic button front shirt. 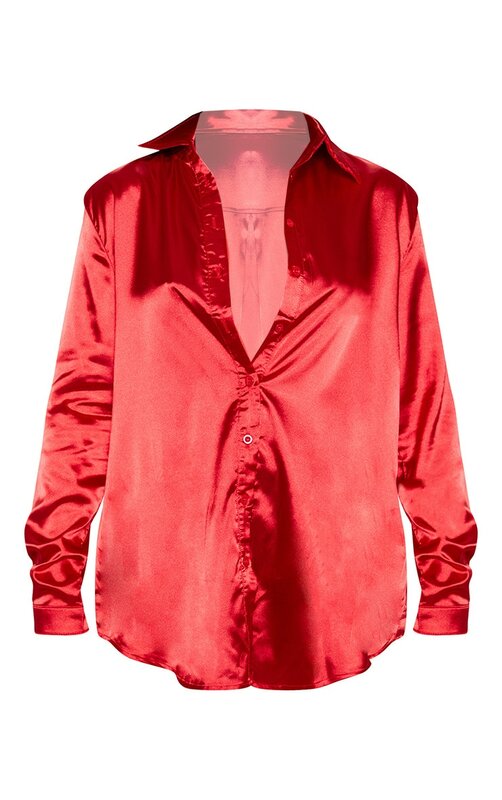 In a silky red satin fabric, this can be styled up or down whatever the occasion. 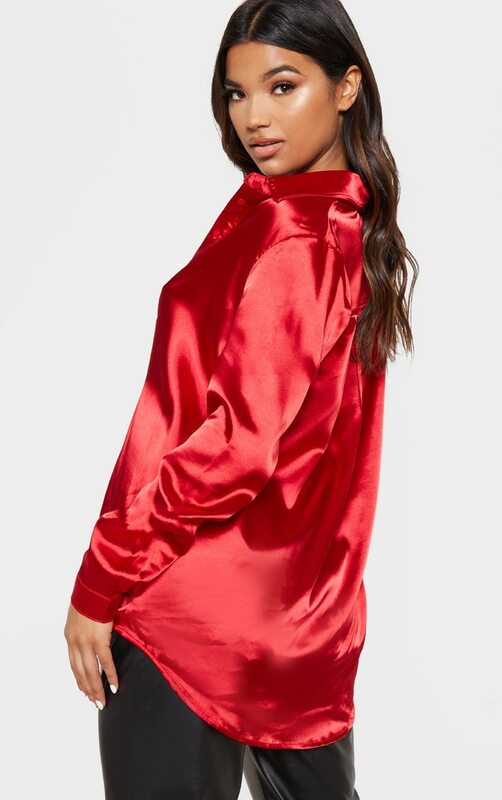 Get ready to earn serious style points. Model Height - 5 ft 9.5"